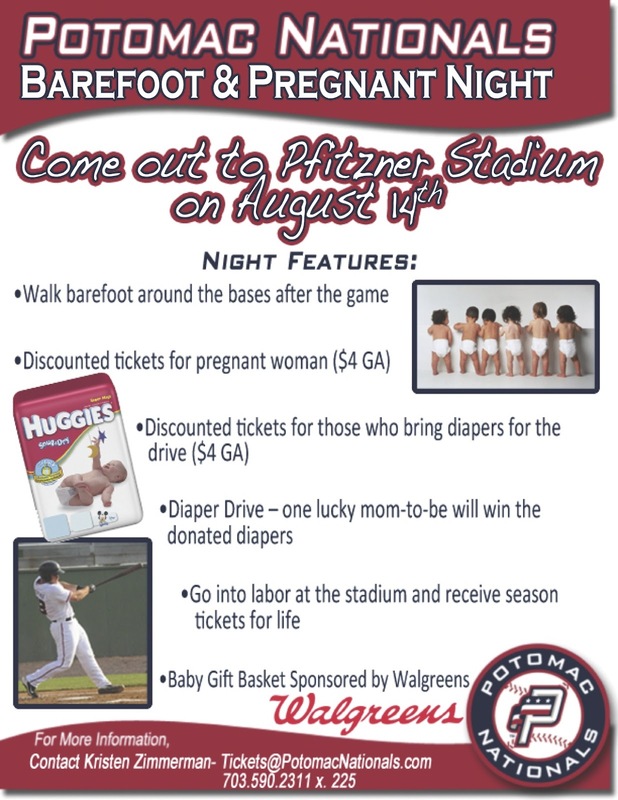 Join the Potomac Nationals for “Barefoot and Pregnant” night on August 14th. 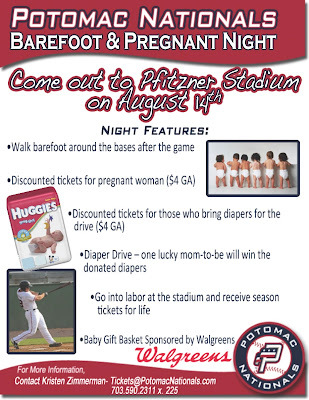 Expecting moms get $4 tickets, as well as anyone who brings diapers for a diaper drive. One lucky momma will go home with all the collected diapers1! If you’re really pregnant and go into labor at the stadium, you get season tickets for life! !